Item # 293677 Stash Points: 1,499 (?) This is the number of points you get in The Zumiez Stash for purchasing this item. Stash points are redeemable for exclusive rewards only available to Zumiez Stash members. To redeem your points check out the rewards catalog on thestash.zumiez.com. 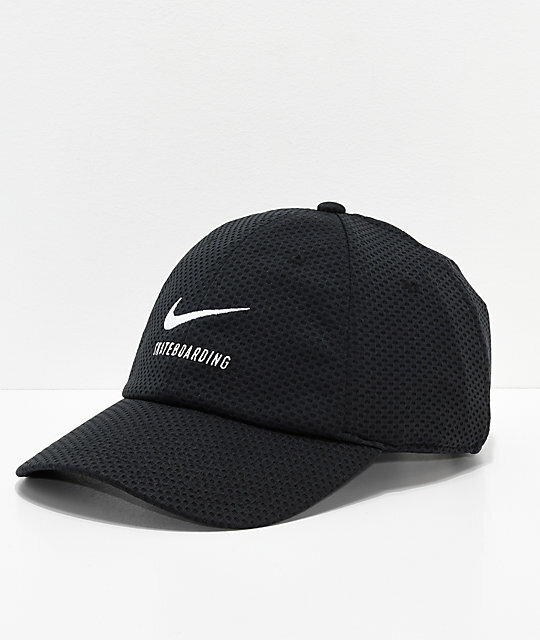 The Swoosh black mesh strapback hat from Nike SB has a unique mesh construction for a breathable fit and a modern aesthetic. 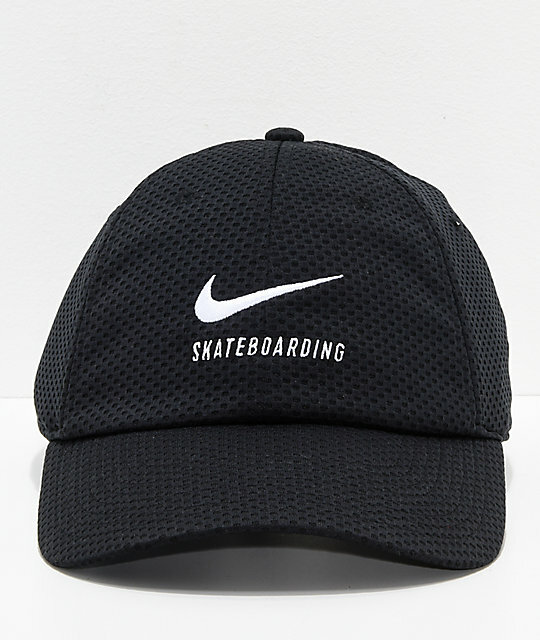 It features a white Nike Swoosh "Skateboarding" logo graphic embroidered on the front and an adjustable strapback sizing piece for a perfect fit. 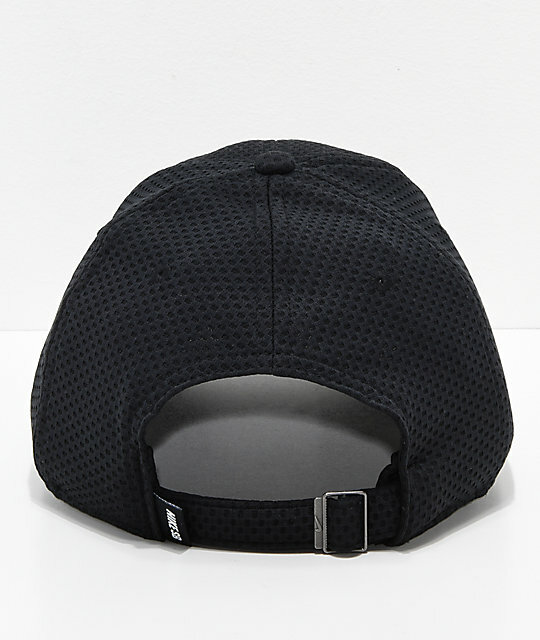 Swoosh Black Mesh Strapback Hat from Nike SB. Embroidered Nike Swoosh "Skateboarding" logo graphic on the front.